Recently, I paid a visit to the Grassfield neighborhood in Chesapeake, VA and brought along a little friend. Here is a little recap of my visit! And as always, for more information or to schedule an appointment, you can call me at 757-774-6999. I visited Hearndon Construction’s Foxglove model this past week. So beautiful!! The Foxglove is 5 bedrooms, large open kitchen to family room, dining room AND breakfast nook! We just loved it and our sweetie Zoey from the Norfolk SPCA did too!! One of the popular options at Dominion Meadows is the Sunroom. This particular home comes with a screened in porch, LOVE! But if you prefer, you have the option to upgrade to a sunroom. Dominion Meadows is an amazing community in the Grassfield area of Chesapeake! When you see a neighborhood for the first time, the most important thing is often the way it looks, like its homes and its’ setting. Some places look the same, but they only reveal their true character after living in them for a while because they contain a unique mix of occupational or cultural groups. This neighborhood is very unique in some important ways. The Grassfield neighborhood is a great option for families. The combination of top public schools, low crime rates, and owner-occupied single-family homes, make this living here among the top 5.8% of family-friendly neighborhoods in the state of Virginia. Many other families also live here, making it easy to socialize and develop a sense of community. In addition, families here highly value education, as is reflected by the strength of the local schools. Dominion Meadows is convenient to retail, great restaurants, and treats like Mike’s Italian Ices, Burrito Perdido, and Plaza Azteca Cedar Road. It is close to the impressive Deep Creek Park & Deep Creek Dog Park, interstates, and the Great Dismal Swamp Canal Trail. Centrally located in Hampton Roads, with easy access to Downtown Norfolk, Suffolk, Virginia, Virginia Beach Oceanfront/Boardwalk, and North Carolina Beaches, many are happy to call the area home. 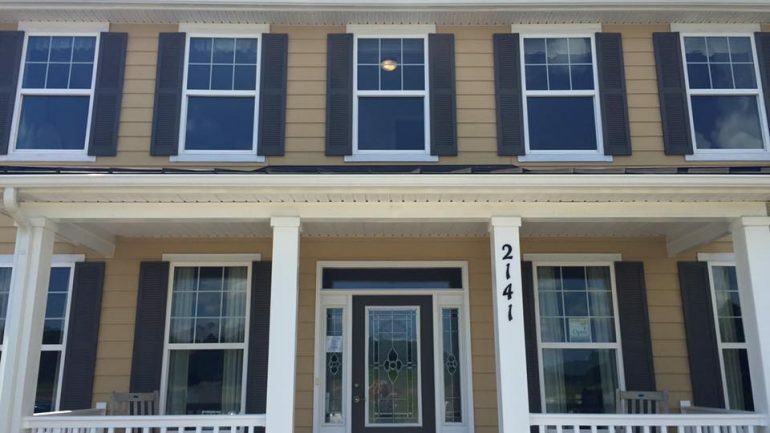 For over a quarter century, Hearndon Construction has set the highest standards in the Hampton Roads’ building community, and is recognized for its accomplishments in land development and the construction of timeless homes. Hearndon Construction is consistently ranked in the top 400 builders in the nation by Professional Builder magazine and has been recognized as the City’s Outstanding Business by the City of Chesapeake.